Who is the SOLO Award is open to? What are the key dates I need to be aware of? Monday 18 April at 12pm (midday/noon) - Deadline for completed online applications. NB. There will be no extension. 16th - 20th May 2016: Artists notified of 1st stage results. Mid June: SOLO Award winner announced. There is no set theme; work should be representative of your practice or process. Media can include painting, sculpture, installation, performance, video, audio, drawing, collage, printmaking, digital, photography, mixed media, have we missed anything? That too. There is no size restriction on works. It doesn't matter if the examples of work you submit are already sold or sell subsequent to your application; the winner will be expected to make and exhibit new work (see below). In the June - November period, the winning artist is expected to develop upon their existing/submitted work to create new content in preparation for their SOLO exhibition at the London Art Fair in the following January. ​How should I prepare my work for submission? The selection panel will consider a max of 5 images or links. You can submit any combination of jpegs or links, numbering not more than 5 in total. The files can represent different aspects of a single work, or 5 different works. As a minimum requirement, all applicants must upload at least 1 image or provide 1 video/audio link. Image file guidelines: Max 500kb each, min 800 pixels wide, preferably 72dpi. Video/Audio content should not be uploaded, but instead provided as links (vimeo, youtube etc) pasted into the video/audio boxes. For each image uploaded or link pasted, you must provide a corresponding number, title, medium, dimensions or running time, date. No CV, no statement necessary (further info will only be required at shortlisting stage). If you need to include important information or context in order for your work to be better understood, please use the 'Anything else...' box at the bottom of the form. How do I apply as part of an artist collaboration or collective? Artist collaborations should enter as a single application. You will need to apply & pay using a single full name & email account, however there is room on your application form (The 'Joint application?' box), in which to include details of each artist involved as well as the name under which you work collectively. Can I apply on behalf of someone else? Yes, but please use the 'Joint Application?' box on the form to provide the full name of the artist on whose behalf you are applying. You may use the 'anything else' box at the end of the form to provide any further clarification. Strictly one application per artist - so if you wish to apply on behalf of more than one artist, you will need to complete an application form for each of them. ​How do I complete the Application Form? Application is via an online form and a maximum of 5 images or video/audio links. Please note that the online application seems to work best with the Google Chrome browser. Firefox and Safari may be unreliable. Hover your mouse over the form fields for more help or info. The form autosaves data via your browser (but not image uploads), so even if you accidentally close the browser window or lose your internet connection, you can return to edit it anytime for up to 4 weeks, provided you are using the same computer and haven't cleared your browser cache. The form is only editable BEFORE you click submit. Uploaded images will not be autosaved. Once you click SUBMIT APPLICATION, you cannot edit it. We recommend you prepare your images in photoshop (so that they are correctly sized and titled) before proceeding to fill out the form. The image requirements are detailed above and also on the form itself. We recommend you have your credit/debit card or PayPal login details handy when you are ready to submit your form. ​Please remember to check your spam/junk email folder for correspondence after you submit your application. It can take up to 2 hours for your confirmation email to come through. If you are having problems applying in the final minutes or hours before the deadline (midday 18 April 2016), please give us a call on +44(0)7519646508 and we will try to help you. We try to operate a fair, democratic and as far as possible, anonymous selection process. The selection process is completed online. Further information, examples of work and proposals will be required from shortlisted artists at a later date. Should you be shortlisted, you may also be invited to attend a Skype interview (this is to take into account the international scope of the award), the date for this will be communicated to the shortlisted artists. At the panel's discretion, incomplete applications will be disqualified if there is insufficient information provided. Applications will be considered incomplete and automatically disqualified without the 25 GBP fee. Following selection and notification, the exhibition organisers reserve the right to exclude artists who cannot provide further information as requested, cannot attend the Skype interview if requested or cannot commit to the dates and requirements in the lead up to the London Art Fair. The judges decisions are final. How will you keep me notified and what feedback can I expect? Please remember to check your spam/junk email folder. On successful submission of the form and payment, you will receive email confirmation and a copy of your application form. This can take up to 2 hours to come through and might go to your spam folder. Applications without payment will not be processed at all. You will receive a 'Pending Payment' email inviting you to submit again & pay. All applicants and those on the mailing list will receive periodical reminders about the award deadline. You can unsubscribe at any time. We will not extend the deadline, however, there is a very short grace-period post deadline to allow for your forms and payments to come through. All applicants will be informed by email as to whether or not they have been shortlisted for the award. See key dates above. No correspondence will be entered into if applications are disqualified because they are incomplete or the fee has not been paid. No correspondence will be entered into about your work, you will not receive feedback from the judges. SOLO Award administrators are regrettably not able to offer specific feedback on your submission or enter into discussions about the judges decisions. What do I need to know about the application fee & refunds? The fee is non-refundable under any circumstances. Please pay your application fee only once. You will get a receipt from PayPal, but it could take a couple of hours to come through. Check your spam/junk folder for emails from Paypal. We will not issue refunds for multiple paid application fees, so please keep a record of your application & payment confirmation. We will not issue a refund if you apply and pay twice because you forgot you already applied. The fees we receive cover administration and staffing and the revenue helps fund the prize for the winning artist. We recognise that asking artists to pay fees is not ideal and not always fair. Therefore, we rely on artists making their own informed decisions, and for those who do choose to apply, we suggest making it part of a rounded business strategy, and setting the expense against your taxes as a self-employed artist. Do I need to attend an interview or transport work to London? Further information, examples of work and proposals will be required via email from shortlisted artists at a later date. You will not need to transport work to London during the selection process of the SOLO Award. You may be invited to attend a Skype interview (this is to take into account the international scope of the award), the date for this will be communicated to you and there will be plenty of notice and a degree of flexibility. The interview is an opportunity for the shortlisted artists to show their existing work to the panel, to speak about it, answer questions about it, as well as talk speculatively about what they would propose for the SOLO exhibition at the London Art Fair should they win the award. We expect work to be presented via a digital portfolio, this is ideal for presenting large work, sculpture, installation, performance, time-based or site-specific work. During the Skype interview, you will also be able to show small examples of work. There is no storage facility. Work must not be delivered/couriered to the WW office. If you win the SOLO Award, you will be expected to travel and transport work to London next January for the London Art Fair. What is the location or base of the SOLO Award, the selection panel and the exhibition? 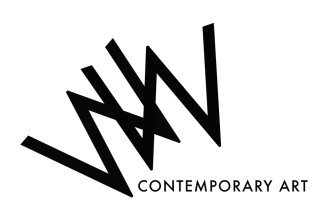 The selection panel is comprised of art world professionals based both nationally and internationally. The winner's exhibition is a solo presentation at the London Art Fair, each January, in the Art Projects section of the fair. The stand is allocated by the London Art Fair and can vary in exact size and location, it is approximately 20-25 sqm / 215-269 sqft. What expenses are covered or fees offered to applicants, shortlisted artists and winners? No expenses or compensations are covered for costs incurred by artists at any stage of the application process. No fees are offered for time spent on applications at any stage of the process. No travel expenses are available at any stage of the application process. No expenses, accomodation or fees are offered to the winner, except the prize as described above. The organiser will pay the full prize money to the winning artist, to spend as they wish. The organiser will pay for the stand at the London Art Fair and all costs associated with the basic stand presentation, staffing, marketing, publicity and on-site stand insurance. The artist is responsible for all costs associated with the production, installation, presentation, framing, insurance and transport of their work to and from the London Art Fair. Why is there a fee to apply and what happens to the money made from all the applications received? We recognise that asking artists to pay fees is not ideal and not always fair. Therefore, we rely on artists making their own informed decisions, and for those who do choose to apply, we suggest making it part of a rounded business strategy, and setting the expense against their taxes as a self-employed artist. What about copyright & ownership? The Artist retains copyright in the Work (if the Artist is the copyright owner) and all reproduction rights save for the following limited rights granted to the organiser: reproduction for marketing and promotional purposes, in an Exhibition catalogue; in publicity material for the exhibition; to accompany critical review of the Exhibition; to be included in an archive providing a record of the exhibition history of the Gallery. The Gallery will credit all photographs (not taken by the Gallery) published with the Artist's name, the title of the Work and the name of the photographer. ​I have questions or problems that aren't answered on this page, how do I contact you? Questions relating to the SOLO Award should only be sent to wwsoloaward@gmail.com, or they will not be answered.